In this post I’m using the 4.13 version of the editor so in case you’re using a different version you may need to adjust your code a bit. Moreover, this post requires some assets which I’ve obtained through mixamo. Before we move on, let’s take a step back to explain how our final system will work. 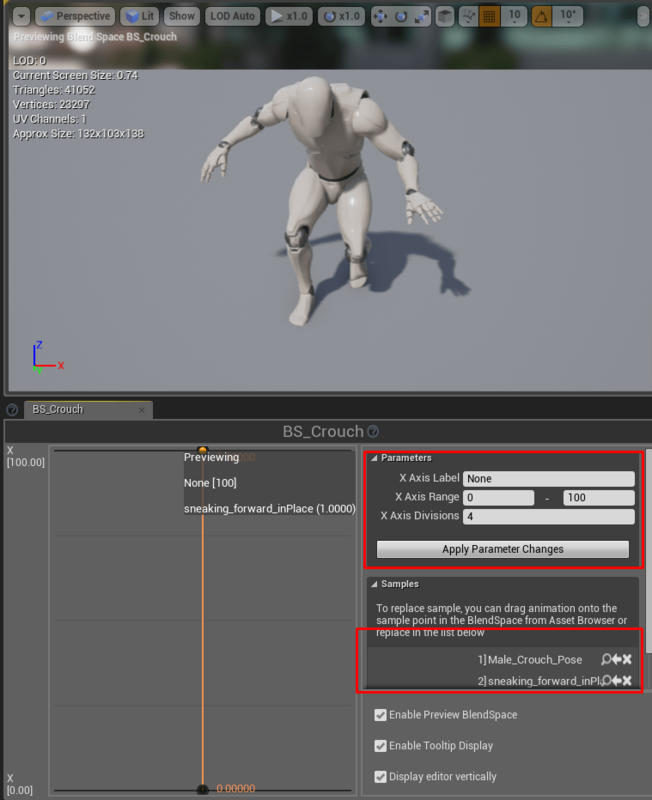 First of all, we’re going to create a Crouch mechanic for our character (this step requires some code and animation integration). Then, we’re going to create a cover actor class. In this class, we’re going to add a static mesh (this will be the cover for our character) and a box component which is used to check if the player is near a cover. If the character is in cover, he will only be able to move along the cover. This means that we’re going to write some code to adjust he’s movement direction and rotation. If he’s not in cover, we will maintain the default movement functionality and rotation. These animations, can be obtained through mixamo. When you have the required animations, you need to retarget them, in order to be able to use them inside in the character that comes with the Third Person Tempalte project. I won’t explain how to retarget animations since Unreal Engine documentation provides a detailed workflow which is perfect for our needs. The following sections assume you have successfully retargeted the mentioned animations and you’re familiar with the persona editor. Please note that we’re going to add some functionality in the above function later on. Moreover, provide an empty implementation for the ToggleCover function. At this point, if you play the game and activate the crouch functionality you won’t see any animation changes, however you will see that the capsule component shrinks (this is why we’ve disabled the hidden in game property – so we can test our functionality first). Let’s integrate our animations then! 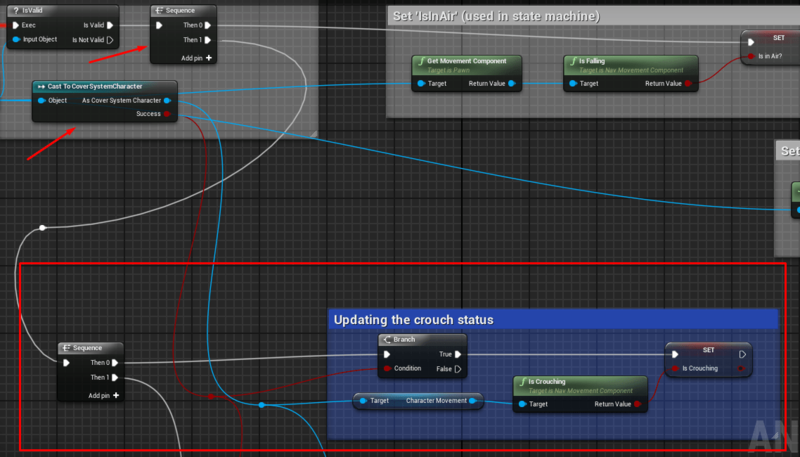 Open the event graph of the Animation Blueprint that comes with the Third Person C++ Project template and add a boolean variable, named IsCrouching. 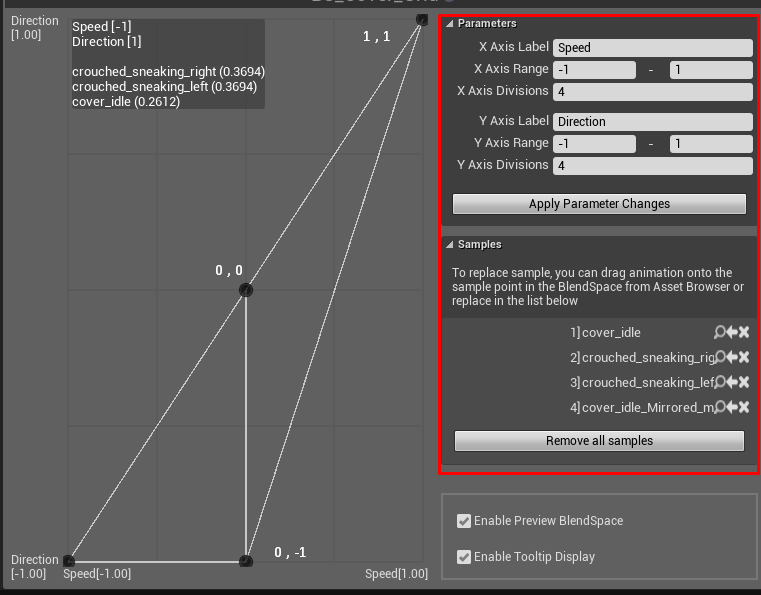 In case you noticed that I haven’t attached the whole logic of the animation it’s because the rest nodes will be explained in a different part in this tutorial. Inside the Idle/Walk_Crouch state, we’re going to play a Blendspace (1D) which will contain the idle and walking animations while crouching. Save and compile your Blueprints. At this point, you will have a fully functional crouch system. At this point, we’re almost ready to create the Cover Actor class. 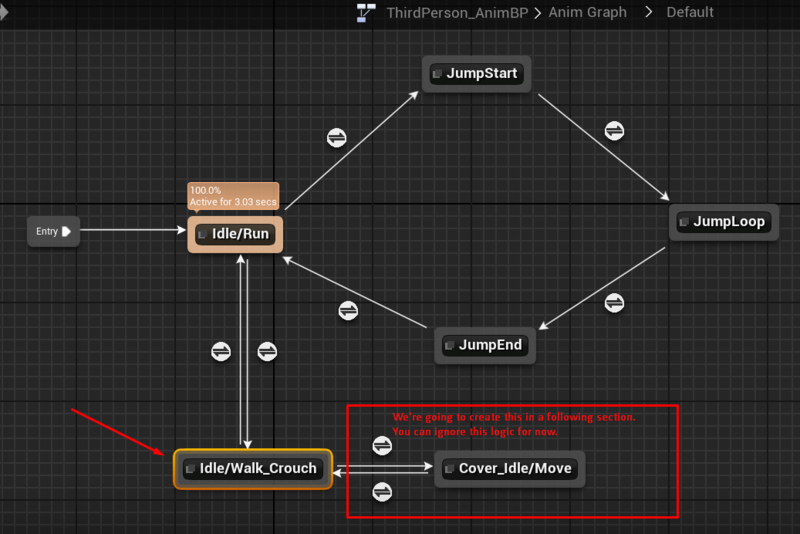 Besides the mentioned functionality, this class will contain some functions that will help us decide the right movement direction as well as the right rotation for our player, in case he decides to take cover to a particular actor. Before we dive into code, let’s explain this logic. In the mentioned locations, the first, second and third values correspond to X, Y and Z axis respectively. The reason we’ve added a value of 51 to all sockets, is because the mesh if 100 x 100 x 100 units and we want the sockets to be out of the mesh but not too far away from it (I’m going to explain later why is that). Hopefully, you have noticed that I’ve activated the Pivot Point for the mesh in the previous screenshot. This is going to help me explain how we’re going to decide the movement direction for our player. Imagine that the player is taking cover on the side of the ForwardSocket. By doing so, the player will assume that by pressing the MoveRight keybind, his character will move opposite to the Green Vector of the mesh (which is the Right Vector of the mesh, meaning a vector with the following properties: [0 , 1 , 0]). Ultimately, the movement direction of the character, equals to: [ 0 , -1 , 0 ]. Moreover, when the player is taking cover on the side of the BackwardSocket, we want to move him along the Green Vector, meaning that the movement direction equals to [0 , 1, 0]. That explains the movement direction when the player is either on the front or back side of the mesh. 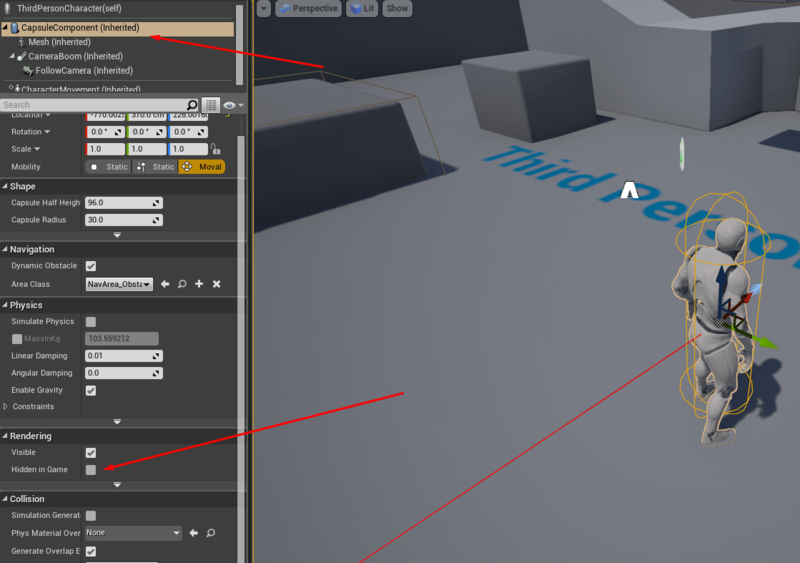 Using the mentioned workflow, the way that the movement direction is decided when the player is taking cover in the left or right side of the mesh is the same. Imagine that the player is taking cover on the side of RightSocket. By doing so, the player will assume that by pressing the MoveRight keybind, his character will move along the Red Vector of the mesh (which is the Forward Vector of the mesh, meaning a vector with the following properties: [1 , 0 , 0]). In case the player is taking cover in the LeftSocket, the movement direction will be the opposite, meaning [ -1 , 0 , 0]. The previous paragraphs, explain the code we’re going to implement in the CoverActor class. Then, place some Blueprints in your map and test the functionality. Your cover system will work fine, except for the animations! The reason I’m using a 2D Blendspace instead of 1D is because I want the character to face the direction he was facing when he stopped moving. In case you think that this is unnecessary trouble, you can get away by using a simple 1D blendspace. Save and compile your animation Blueprint. Then, have fun with the cover system you’ve just created! Is it possible to do time of day in C++? 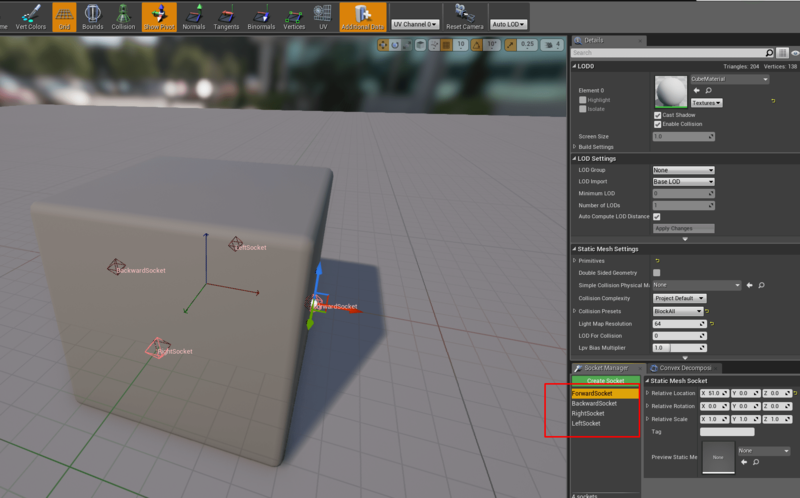 Like this one https://wiki.unrealengine.com/Tutorial:_Time_of_Day or do you think it’s better to do things like this with blueprints instead? Blueprints are based on C++ so everything is possible on the latter one. I would choose either of them depending on my project’s needs. Do you take requests? I’d love to see an animation tutorial about how to make the third person character be able to walk backwards etc. Would be awesome to see one on how its done! I have tried but the blueprints atleast in my projects are in no way possible to do like yours. Some of the “boxes” didn’t even appear to exist anymore. Would it be possible to have access to your project? Try to recreate your problem in an empty project. I think you’re missing a step in the process (not sure which though). The Previous Dir float variable was declared in the animation blueprint of the character. 1. Your capsule will not update when crouching after your first prompt to recompile and setting is enabled.